If you ought to know one single band coming from Greece, it should be Aphrodite’s Child, the progressive rock group behind End Of The World and 666 that Demis Roussos formed in 1967, together with Vangelis and Loukas Sideras. Demis and Vangelis had earlier been longtime bandmates in pop bands The Formynx and The Idols, but with Aphrodites Child they achieved greatness and reached audiences all over the world with their three studio albums, while after the band’s breakup both went on to very successful solo careers, Vangelis as a new age and film composer and Demis as a pop singer, singing in many different languages and recorded many studio and live records. Aphrodite’s Child songs have been covered by Death SS and “ripped off” by The Verve and Beck. 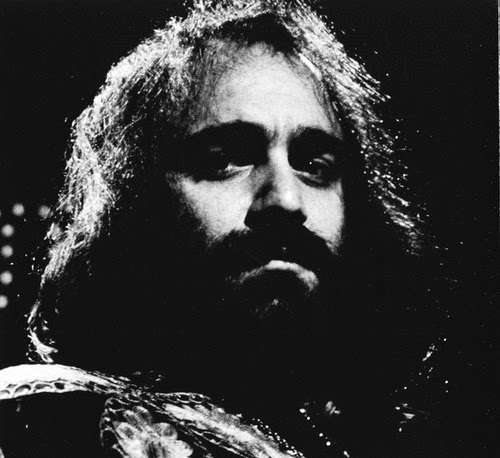 Demis Roussos died on January 25th 2015, aged 68.